The Prescott Acrylic Skirted Bath is ideal for a 60 bath project and features an integral skirt, tile built in tile flange and spacious bathing well. The Sydney is the perfect choice for an alcove installation in a standard bath.. Left or right is determined by plumbing. Tub only, accessories and waste and overflow not included. 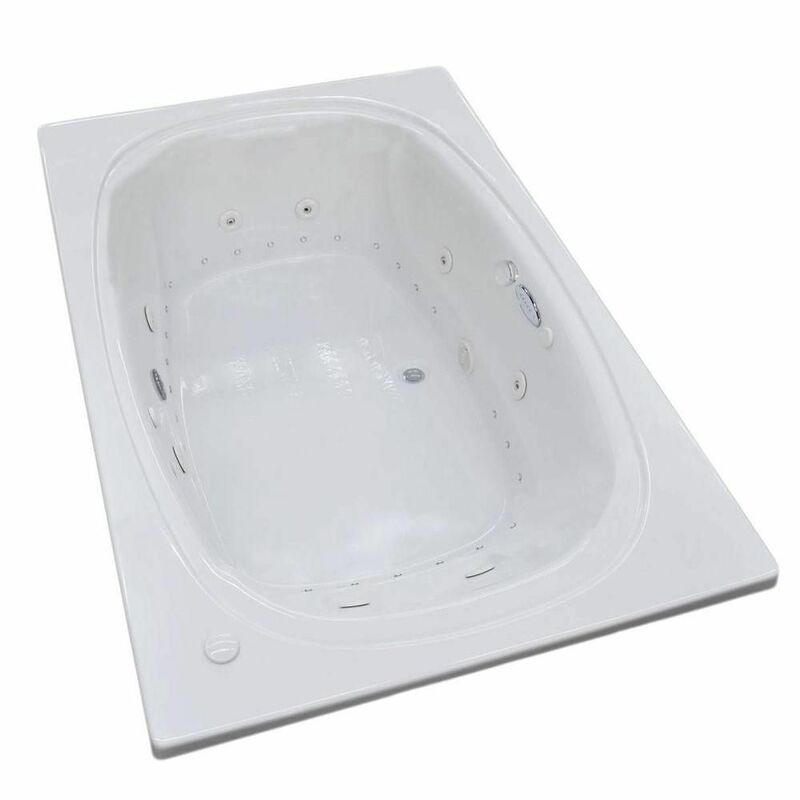 Peridot Diamond 6.6 Ft. Acrylic Drop-in Right Drain Oval Whirlpool and Air Bathtub in White Peridot series features a classic oval-shaped bathtub design, combined with recent luxury and safety industry trends. Body-wrapping armrests create an ultimate comfort zone, essential for a luxurious bathing experience.